This blog is part of the blog symposium published in conjunction with a new ACS issue brief: Reforming “Regulatory Reform”: A Progressive Framework for Agency Rulemaking in the Public Interest. View the other blogs in the symposium by Lisa Heinzerling, Adam Zimmerman, Peter Shane, and Rena Steinzor. Until recently, you could be a very well informed American – a lawyer, even – without ever having heard of the Chevron doctrine. That has changed enough that last month the New Yorker had a “Talk of the Town” essay discussing Kavanaugh’s views of the Chevron doctrine. The reason for the attention to Chevron is ultimately congressional deadlock, which means that the only viable path for big changes in policy is through the administrative process. That’s how Obama created DACA and the Clean Power Plan; it’s how Trump is trying to roll back Obama’s achievements. 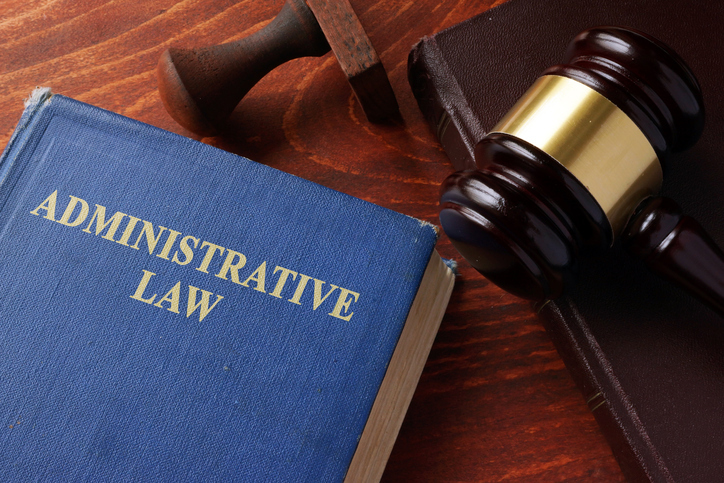 The Chevron doctrine is a key part of the way courts review these administrative actions because it gives agencies leeway in interpreting the statutes that authorize administrative action. This doctrine is largely a recognition that Congress gave administrators, not courts, the primary responsibility for implementing regulatory statutes. This doctrine has become a target for conservatives because it allows agencies to innovate in response to new problems. Lisa Heinzerling, Peter Shane, and I have written an Issue Brief for the American Constitution Society that develops a progressive agenda regarding Chevron and other important issues in administrative law like the role of the White House in overseeing agencies. The Issue Brief seeks measured reforms – unlike conservative versions of regulatory reform that claim to be about procedure but are really just about making new regulations impossible. The section of the Issue Brief about judicial review may be the most difficult to grasp because it doesn’t deal with the administrative process, let alone the substance of regulations. Instead, it addresses the rules courts use to decide which cases can be heard and what standards apply to them. But despite what might seem its abstruse quality, it is aimed at issues that make a very real difference in what agencies can and cannot do. One example is the Chevron doctrine, which discussed earlier. The Issue Brief advocates writing this doctrine into the Administrative Procedure Act to protect it from the increasingly conservative Supreme Court, clarifying it, and eliminating some troublesome exceptions. The proposal also addresses other recurring problems. One way for agencies to deregulate is simply to sit on their hands and refuse to implement the law. Our proposals would make it easier for public interest groups to get into court to challenge this form of regulatory sabotage. Some of the individual reforms in the proposal are substantial. We advocate repealing the Congressional Review Act, which allows Congress to trash regulations with no opportunity for debate or deliberation. We also advocate changing the role of the White House when agencies issue regulations. Today, centralized review is designed to force all regulatory efforts into a one-size-fits-all economic straightjacket, imposing a cost-benefit standard on all regulations regardless of Congress’s goals in passing a law. The process is heavily clothed in secrecy and offers an avenue for business to lobby for changes in regulations. We advocate making this process much more transparent and open. We also advocate switching White House review to a more legitimate focus: ensuring that agencies are effectively carrying out the purposes of statutes. Many of our proposals are incremental and do not address dramatic issues – very unlike conservative efforts at regulatory “reform”. There is a reason for that. We believe that overall the regulatory process has worked to protect the public interest. It can be frustratingly cumbersome and occasionally untethered, and we have proposals to address that. But we also are aware that not all administrators are operating in good faith – look at Scott Pruitt, for instance – and that not all regulatory actions are well reasoned. Going too far to unleash regulators would make it faster and easier to issue good regulations. But it would also make it faster and easier to issue bad ones. We have attempted to strike a balance between empowering and restraining administrators. Conservatives have long discussed ways to change the current “rules of engagement” for courts and administrators. Progressives have devoted a lot of energy to resisting those efforts, which is obviously important. But it’s also important for us to start thinking about how the regulatory system could be improved. This Issue Brief is a step in that direction, which hopefully will help promote debate and analysis by others.